Werner's Cairns blog: De-Inflame with Super foods. Cellular inflammation has been shown to be the underlying marker in nearly every major health problem. Every single day our body is attacked by free radicals; cells are damaged; and inflammatory mediators are produced and triggered throughout our body. Fortunately, God gave us an incredible ability to heal and regulate abnormal cells. He also provided us with a way of life to minimize the negative effects of lifestyle stress. 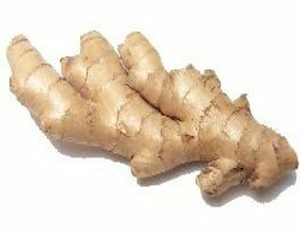 1.Ginger: This incredible super food herb is 13th on the anti-oxidant list boasting an impressive ORAC score of 28,811. Ginger is composed of several volatile oils that give it its characteristic flavour and odour: zingerone, shogaols, & gingerols. These oils are powerful anti-bacterial, anti-viral, anti-fungal, anti-parasitic agents. In addition, it inhibits cancer cell formation while firing up our body's own inborn ability to destroy the cancer cells formerly present. Ginger has classically been used to improve the digestion process. It is classified as a carminative (reducing intestinal gas) and an intestinal spasmolytic (soothes intestinal tract) while inducing gut motility. Ginger is known to reduce fever related nausea, motion sickness, and feelings of "morning sickness." Additionally, it helps aid in the production of bile, making it particularly helpful in digesting fats. Ginger is also an important part of a de-inflaming, natural pain-relief program. One compound called 6-gingerol has been shown to significantly inhibit the production of a highly reactive nitrogen molecule, nitric oxide, that quickly forms a dangerous free radical peroxynitrite. Additionally, ginger helps to protect the body's stores of glutathione (the super anti-oxidant and free radical destroyer). 2. Parsley: The herb parsley is considered the world's most popular herb. It contains a unique combination of nutrients that make it a powerful super food. The volatile oil compounds myristicin, limonene, eugenol, and alpha-thujene have been shown to inhibit tumour cell formation. Additionally, parsley is rich in flavonoids - including apiin, apigenin, crisoeriol, and luteolin that have strong anti-oxidant properties. Parsley is also particularly rich in chlorophyll, the energy producing substance that gives herbs and plants their characteristic green colour. Chlorophyll helps to alkalize the body, purify blood, and form new red blood cells. In addition, the chlorophyll and flavonoids in parsley help to enhance cellular glutathione formation. Higher levels of cellular glutathione allow the body to detoxify and heal more effectively. Absolutely correct. Almost all modern diseases are inflammatory - the foods most implicated being wheat and dairy - the foods we eat most of. In the US the major culprit is corn. To make matters worse, almost all food is heavily pesticided - thus poisoned. These poisons are toxic to the nervous system. So eating as the good doctor suggests is good advice so long as the recommended foods are non-fumigated and grown in fertile soil.